This week I’ll be much better at commenting, I promise. Things are calming down again. 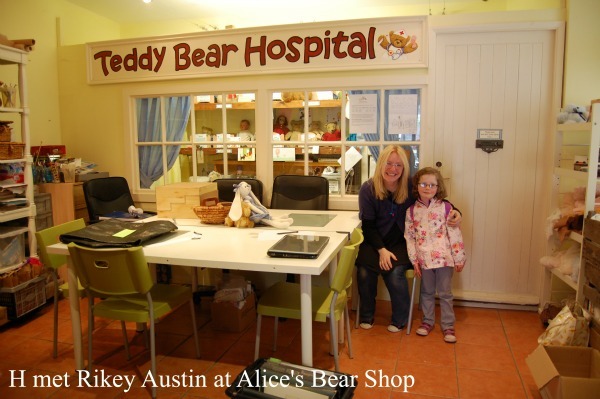 Sunday and we left Exeter via Lyme Regis where Shaun suggested we pop back to Alice’s Bear Shop, a shop we found last year and loved – this year H got her photo taken with Rikey Austin who owns the bear shop – it has a Teddy Bear Hospital at the back where all your toys can be mended. A lovely lovely store. 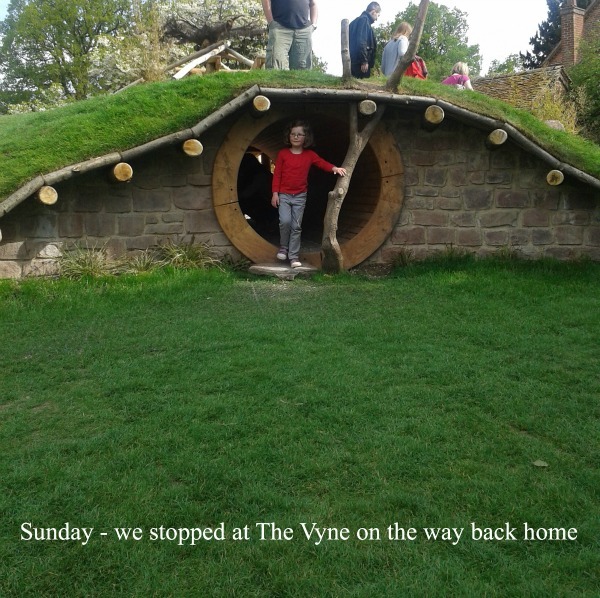 The next time we go away anywhere we’ll be substituting Motorway Services for National Trust places – The Vyne in Basingstoke is a little bit out-of-the-way but so much better when you need to stretch your legs (and cheaper) – Tolkein inspired and worth a nosey. 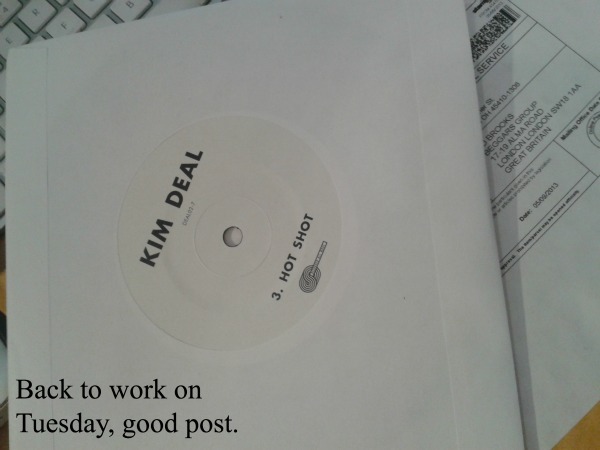 Tuesday, back to work and the second Kim Deal solo single had arrived! Wednesday and H was moved up to the next class at swimming – talk about a surprise – we knew it was happening but didn’t realise it’d be on Wednesday. 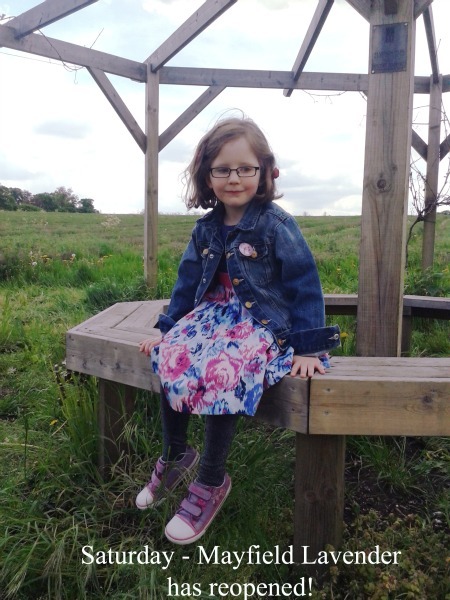 There isn’t actually any space for her in the next class up so we’ll be in our class until there is – but still, three and three-quarters and she’s got this – I’m so proud of her – and she’s done it on her own without me helping. 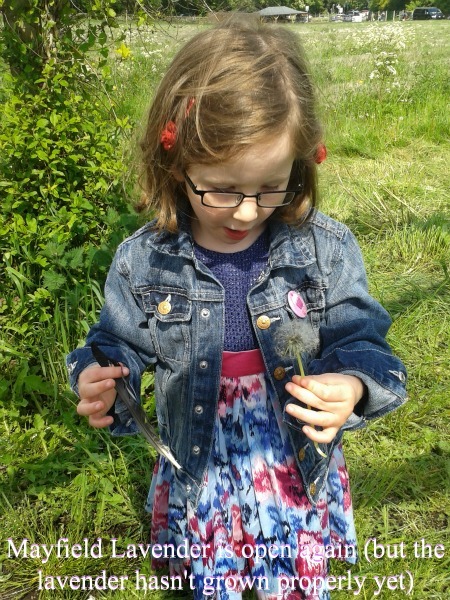 Apparently Stage 1 is similar to the Duckling 3 badge which she has also been awarded! Thursday night = knitting night. I needed that pint. My sock is coming on slowly…. The absence of a Friday photo is due to nothing much happening. We drove up to Mayfield Lavender which is about a mile or so up the road to find it has reopened and the lavender is coming on – AND there’s a festival in early July too. Wonderful! You can wander around the lavender fields (you’re not allowed to pick) and so many people have photos taken there. It’s a really great place and one we love going back to – we’ve been there since before H was born. H loves going there too. That and the fields were covered in dandelion clocks and partially grown (yet refreshingly aromatic) lavender. Roll on July when the fields will be a mass of purple-y loveliness and I’ll be spending (too much) money in the shop! 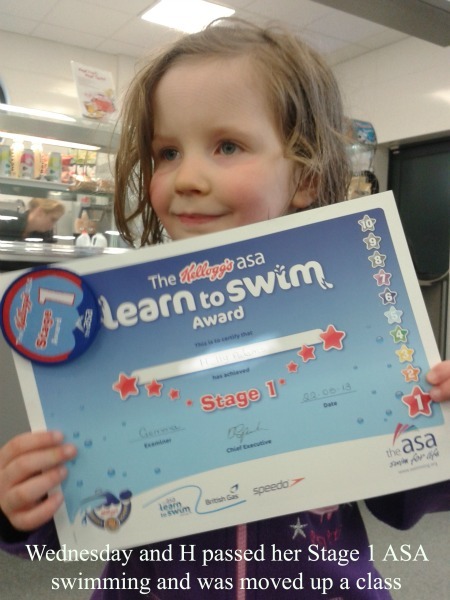 what a clever girl to get her swimming certificate – you should , and i know you are, very proud of her. what a fantastic time you guys have had!! i am loving the bear hospital! 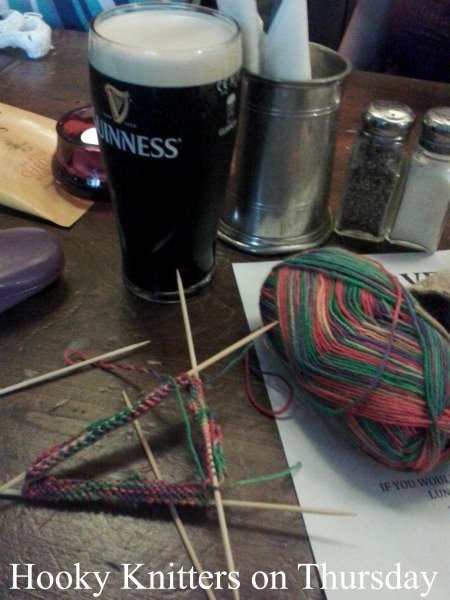 Well done to H for her swimming achievement and I hope the guinness helped with the knitting? Ah, I love the look of Aliee’s Bear shop! I’m sure we have a book about that shop? ?